This blog will features Keith’s debut collection from earlier in the year. 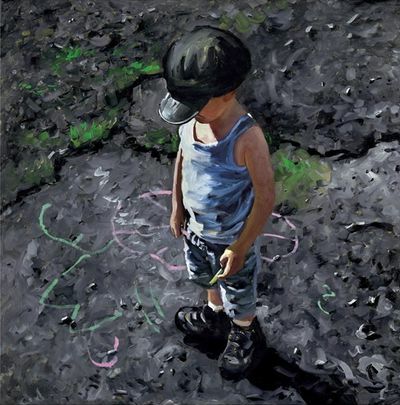 Keith Proctor is a newly published artist for 2010, whose sketches and paintings currently feature his own son, â€˜Jack.â€™ His artwork will obviously be endearing to those who have children and it will bring back fond memories for those that have grown up sons and daughters as well. Keith is also friend of fellow artist Alexander Millar; as well as sharing artistic similarities, they also now share the same publisher, Washington Green Fine Art, thanks to Millar for introducing Keith to them and for singing his praises. Incidentally Keith also lives in the same area of the country, Northumberland, as Millar. Keith Proctor’s first published collection is called the â€˜Jack The Ladâ€™ – Tour and is still available to buy but you will need to hurry, as there are only few copies remaining from this magnificent collection of 7 limited editions. He has proved to be extremely popular with art lovers & most of his available originals have now sold to his new fan base. 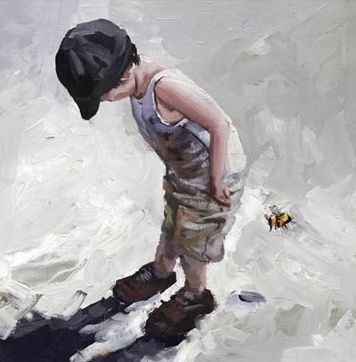 Keith appearance on the published art scene has caused a bit of whirlwind of excitement from buyers across the country and galleries have reported great sales since he was published In February. Keith told us that despite attempts over many years, the ‘Biscuit Factory’ in Newcastle did not show his art. The Biscuit Factory is the UK’s largest commercial gallery space & where numerous artists are able to showcase their work. This is the same area that Washington Green Fine Art first found Sarah Jane Szikora, another of the UK’s most popular artists. Ill bet the Biscuit Factory wished they had shown his art now huh?! I love the cheeky poses and actions in these pieces by Proctor and the fact that is his own child, â€˜Jackâ€™ in many of the pictures, puts extra emotion into the art for me. 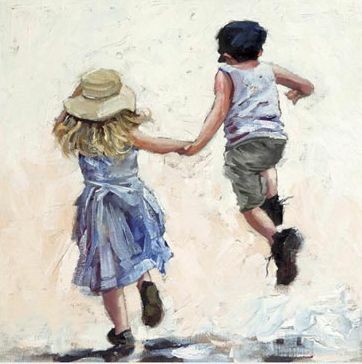 Art lovers can look at this art and see their own children, little brothers or nephews. Although they are clearly prints taken from â€˜oil paintingsâ€™ that have a traditional painting style about them, there is also a vibrancy, a freshness and lightness to the art somehow. Perhaps it is the subject mater that causes this and draws the viewer. The youthfulness and energy of children is a constant source of wonder for many people.